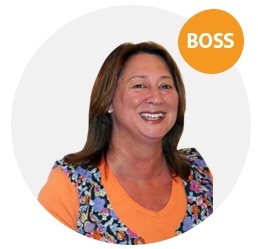 Gillian has worked in communications since 1988 and started Web-Feet with Stewart in 1999 setting up offices soon after in Eastleigh near Southampton in Hampshire. She left her senior sales role at Cable and Wireless, a FTSE100 company at the time, in Jul 1997, shortly after the second of her three children was born. She has been the driving force behind Web-Feet since its inception and has built the business into one of the leading digital agencies in the South. With expertise in SEO, Ecommerce and Digital Marketing - her real passion is for Web Design something that she has always had a great eye for. She lives with Stewart and two of their three children in Romsey, Hampshire.